so right about now me want tell everyone. and a gone me go, gone. and a gone me go, go, gone. and a gone, me gone. from my aunt Patsy who lives in Brixton. Well she is young free and single and a trouble to a man. If she ever gets married me sorry for the husband. She would wear the pants and he would wear the apron. She would make him wash the plates and scrub the dutchpan. a card game invented by a very wise man. When me won six games straight my aunt shouted: "Oh damn!" Then "ring! ring!" the telephone rang. I was expecting a call from a lovely woman. it was either love, lust or infatuation. "Hello is Pato there?" Was her first question. Cool as cucumber I replied: "You're speaking to the don." "Can you come 'round tonight?" Was her second question. I said: "Darling your wish is my command." She gave me her address and said: "See ya later on." I just hung up the phone and said: "Auntie me gone!" I was trodding towards Brixton tube station. 'cause it's only ten stops from Brixton to Islington. I was on my way to see a lovely woman. Victoria, Green Park, Oxford Circus, Warren St.
Then the next stop was Houston. Come! Two stops are left to reach my destination. King Cross (St. Panoras), Highbury/Islington. me ask a couple of people for the direction. a voice said: "Who's that?" When she opened the door my heart went bang! This was beauty beyond all imagination. 'cause to stay all night was my intention. then me and Pat had a short conversation. so now me a go tell you what went on. you should have seen how she head top bald. that's when she take out she teeth and put them in a glass. 'cause all over she rashy all over. 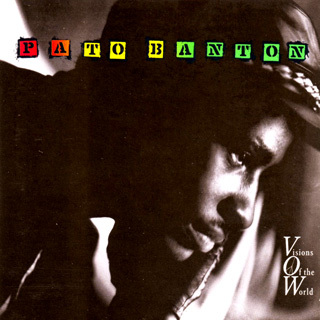 "Tonight Pato Banton you will be my lover." out the front door man me start fi gallop. Even when the gal a shout out: "Pato come back!" Gone me gone and me just can't stop. and a gone me go, go, go, gone.